3. ⇧ Worldwatch calculations based on Monsanto, “Biotechnology Trait Acreage: Fiscal Years 1996–2008F,” information sheet (St. Louis, MO: 25 June 2008), and on James, op. cit. note 1, p. 3; percent of seed market from ETC Group, Who Owns Nature? Corporate Power and the Final Frontier in the Commodification of Life (Ottawa, Canada: November 2008), p. 11. 4. ⇧ Center for Food Safety, Monsanto vs. U.S. Farmers: November 2007 Update (Washington, DC: 2007). 5. ⇧ Ibid. 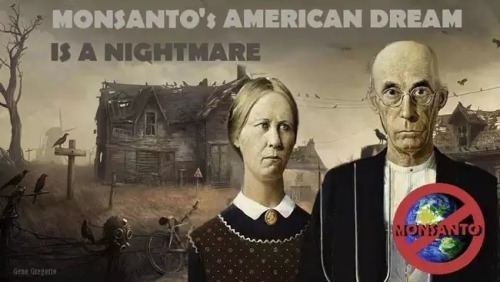 ; Bernard Simon, “Monsanto Wins Patent Case on Plant Genes,” New York Times, 22 May 2004; Donald L. Barlett and James B. Steele, “Monsanto’s Harvest of Fear,” Vanity Fair, May 2008.